When designing a plan for garden landscaping, it is often desirable to work in some flowers and plants that add splashes of color for additional definition and interest. One of the many flowering plants which should be considered is the bridal wreath, also known as Spirea. It is a hearty old fashioned plant and is commonly found growing in the Northern Hemisphere. 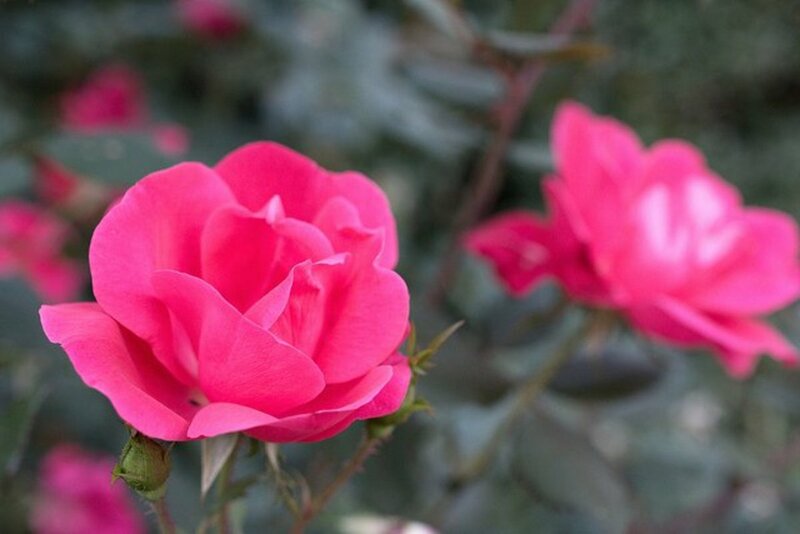 Interestingly, it is actually related to the family of roses. This shrub is a fairly low maintenance plant and once established can be propagated from division of the root ball or it can quite easily be grown from cuttings of the woody stems. The bridal wreath shrub that I first saw as a child growing in my parent's yard was a thing of beauty. Next to the woods, the acreage where my parents built their home in Oconomowoc, Wisconsin had been a field with native grasses growing in it. Every single tree, shrub, and flower that graced our yard and garden space was lovingly planted by my parents. It was a blank canvas so-to-speak where my mother and father were able to create their own masterpiece and beautiful it was! The cascading branches of the large bridal wreath shrub that would bear those striking white blossoms each spring were one of the bushes chosen to be used in the yard to add its own particular beauty. The pictures taken and shown in this article are from a neighbor's yard in Houston, Texas. Showing the fountain-like branches dipping down to the ground festooned with the many brilliant white blossoms it makes me think of the bridal wreath bushes in my parent's yard in those early days of my childhood. The bridal wreath (or Spirea) comes from the family Rosaceae and from the cultivar Plena. When planting this shrub, one must allow plenty of space around it so that the effect of its cascading growth habit can be fully appreciated. It can commonly grow to be about 6 feet in height with a width of almost the same. Grown as a specimen plant it can be admired from every angle. If grown as a hedge, just allow enough space between each plant so that it has a chance to grow and spread naturally. Often, gardeners do not take the mature size of a plant into consideration when first planting the smaller sizes purchased in nurseries. The newly planted shrubs are then forced to compete for water, nutrients, and even enough circulating air to remain healthy. This is a deciduous plant meaning that it loses its leaves in the wintertime. It likes full sun but can tolerate partial shade as long as it gets at least 6 hours of sun daily. When in glorious bloom in mid to late Spring, it attracts butterflies. What it does not attract is deer munching on its branches. This is good to know for people who are seeking shrubs and plants and who have deer regularly visiting their gardens. Perhaps it is the salicylates that are contained within the branches of this shrub (an aspirin-like component) that repels the deer. Rabbits and other critters will also not be prone to chew on the bridal wreath branches. What makes this plant really attractive is its hardiness. It can tolerate every type of condition ranging from the windy seashore to hot and humid conditions such as are found in Houston in the summertime to drought conditions or even polluted areas. There are many types of this kind of shrub including dwarf varieties which can blossom more than one time a year if pruned back after flowering. The greatest variety of species can be found in eastern Asia. There are anywhere from 80 to 100 species of Spirea, also sometimes spelled Spiraea. If your garden space does not allow one to plant a 6 foot specimen, there are other choices. 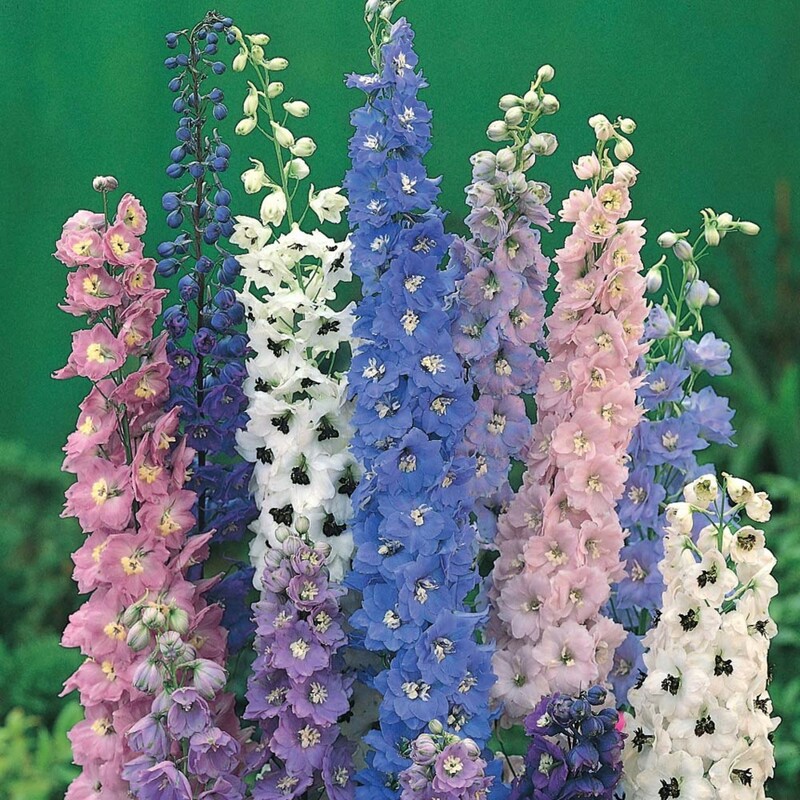 There are low growing mounded varieties that also bloom in other colors and sport different colors of leaves. and there are others. The choices are many! On the larger shrubs, some experts recommend pruning them back by 1/3rd after flowering every year. Some of the smaller growing varieties are literally cut back to just above ground level each year. This is a method called "stumping." 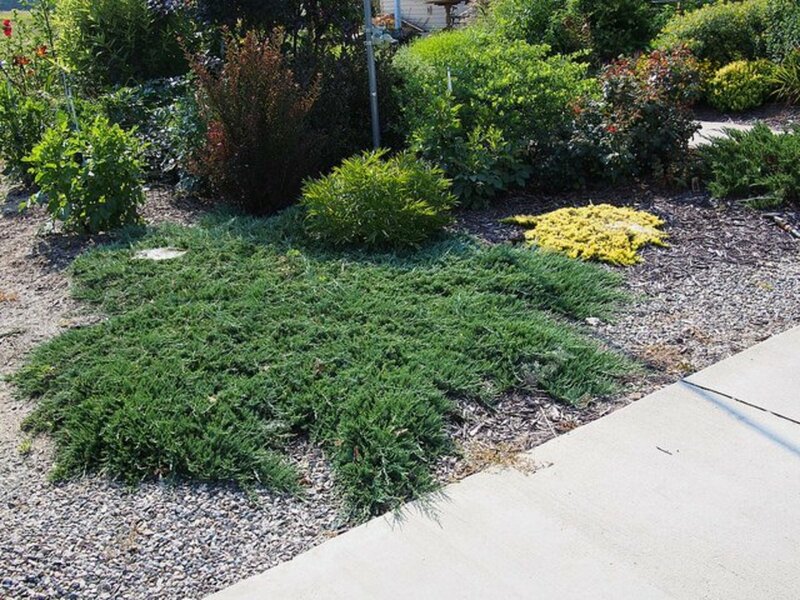 During the growing and blooming season with the smaller to medium varieties of spirea they can be pruned back with clippers or even a hedge trimmer and they will likely re-bloom possibly even several times if this is done regularly depending upon the variety. Every gardener needs a good clipper like this. I use mine to cut back the smaller branches of shrubs & trees. I also use mine to cut flowers such as roses. Hopefully you enjoyed learning about the different varieties of this showy shrub which can be used in your home garden design when wanting a hardy but also beautiful flowering shrub. If you are a bride getting married in the springtime of the year and wish to have a natural hair adornment, hold in your bouquet or have in flower arrangements, what could be more natural than the fragrant bridal wreath to make that special day even more memorable? Did you know about the bridal wreath plant or other types of spirea? When is the best time to plant a bridal wreath? You can plant a bridal wreath bush just about anytime if it is a potted shrub. If you live in a northern climate where the ground freezes in the winter months, spring through fall would be your choices. Just be sure to dig a large enough hole and put enriched well-draining soil around it. If you do live up north, protect newly planted shrubs such as this for over-wintering, particularly the first year. In the south, fall is often the best time to plant shrubs, because they get a chance to set their roots before rapid spring growth takes place. But we do have the option of planting spirea and other plants almost year round down here. Is there a bridal wreath tree? Bridal wreath or spireas only grow as shrubs, and not trees. My bridal wreath stopped blooming, so we cut them back very low, and it’s been almost two blooming seasons, and they have done nothing: They are probably 20+ years old. Do I need to replace them? How tall and wide does the bridal wreath grow? 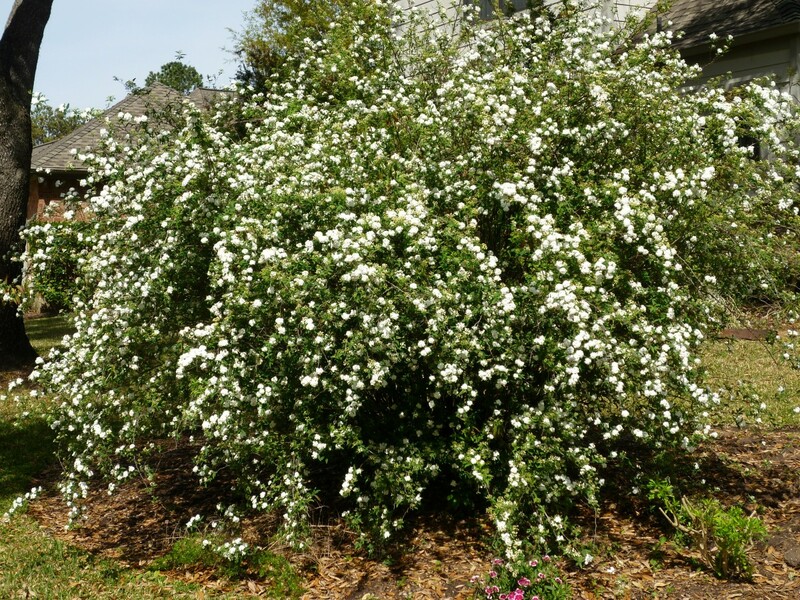 The bridal wreath shrub can grow to six or more feet in height, and the width can be just as wide or even more so. That makes them excellent specimen shrubs, or they can make an excellent hedge as well. Can the bridal wreath shrub tolerate cold temperatures? The bridal wreath shrub can definitely withstand cold temperatures. My parents used to grow it in Wisconsin, and it is grown here in Houston. According to a map of USDA Plant Hardiness Zones, it can be grown nicely in Zones 4 to 8, which covers the majority of the continental U.S.
Do bridal wreath stay in bloom all summer? Bridal wreath shrubs bloom for quite some time but not all summer long. Can you prune a bridal wreath in the fall for new growth/flowers in the spring? You can cut dead or diseased branches out of bridal wreath plants any time of year. 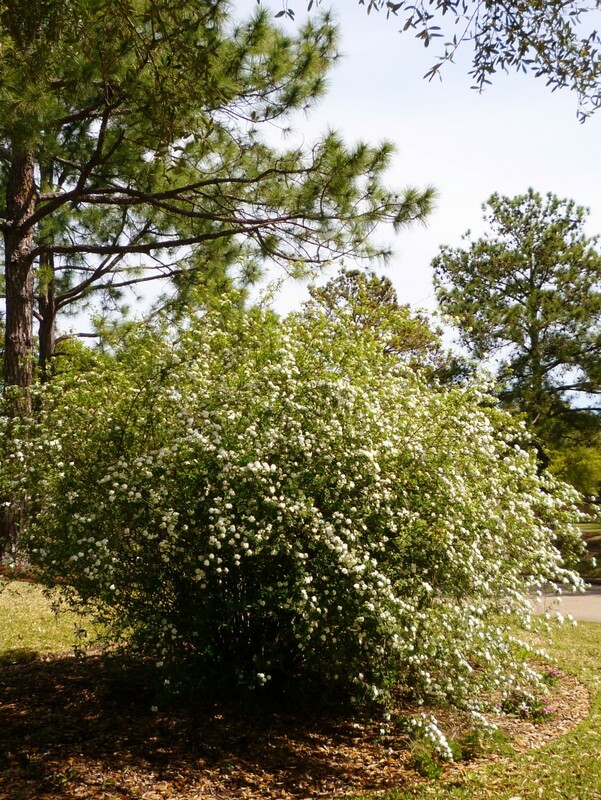 The best time to trim spirea or bridal wreath bushes for maintenance purposes for spring blooming plants is after they have finished blooming. Next years blossoms will be on the old wood. Do the branches on a bridal wreath have thorns? Bridal wreath shrubs do not have thorns. 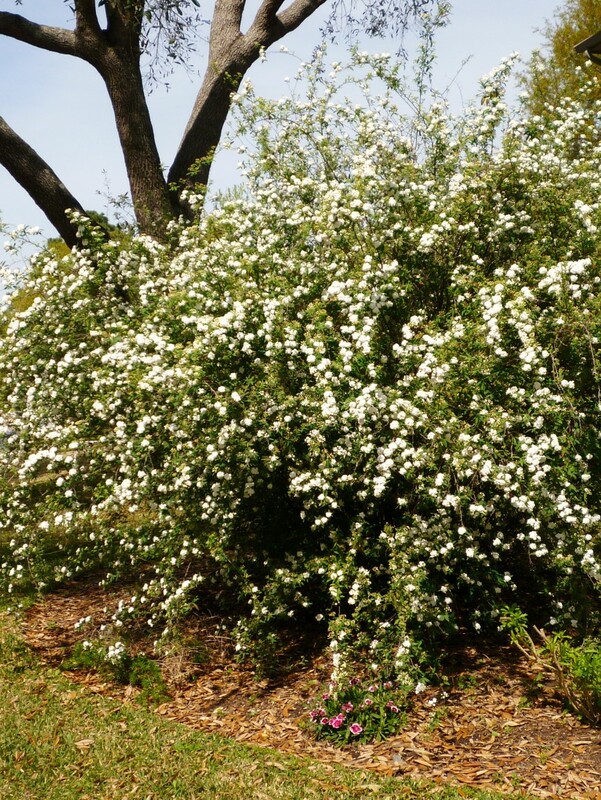 What is the blooming season of the bridal wreath shrub? Mid to late spring is when you will start seeing the beautiful blossoms covering the branches of the bridal wreath shrub. Where can I purchase a bridal wreath? Bridal wreath shrubs can be successfully grown in USDA plant zones 3 to 8, so the bushes should do well in Tennessee if all the other conditions are met. Best wishes! It sounds like your grandmother's home was lovely with all of those bridal wreath shrubs planted around her wrap-around porch. Nice that you have those fond memories. My Grandmother had a wrap-around porch. Since her house was a Victorian, it was large. All around the porch they had planted bridal wreaths. Because of that I'll always think of them fondly. A bridal wreath shrub takes up quite a bit of space when full grown. I only see a few of them in our subdivision. Perhaps that is the reason you are not seeing them as frequently? At least you know what they are having grown up with them. The bridal wreath can certainly add interest to one's yard and it is especially pretty when festooned with those white flowers. We reached 89 degrees yesterday but with high humidity it felt warmer here in Houston. I was outside doing some yard work and was happy to get back inside and take a nice refreshing shower. Looking forward to the upcoming predicted rain this weekend as the ground where I was planting things was dry. We had one of these shrubs growing up. I haven't seen any in a while. Thanks for sharing this. This is a very helpful article for people wondering what they want to do to spruce up their yard by adding something new and how to do it, etc. Beautiful photos as always. Pinned to AH and shared on HP. Yes it has definitely warmed up here in North Texas. It's been just right most of the time. Wish it could remain between 60 and 70 degrees everyday. Been in the upper 80s and even got past 90 a couple of times already. Appreciate your pins. Hopefully you are starting to enjoy some spring weather in Texas although we are having another unusual cold front again tonight in mid-April. Crazy year weather wise! 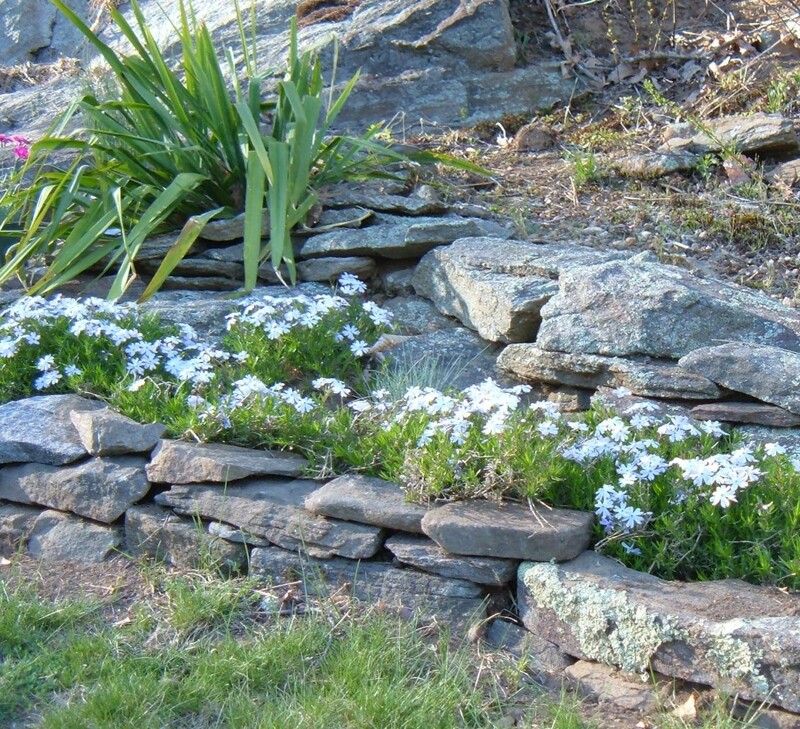 A great informative article for people planning this year's spring landscaping. Already pinned to my 'Trees, Plants, & Flowers' board and tonight I'm pinning it to my 'White' board, which is quite popular. I think your photos are re-pinned from my boards more than anyone else's. These are such rewarding Spring blooming shrubs. Revisiting this article and pinning it to my "Trees, Plants, & Flowers" board. I to come back and add this hub to my garden board on Pinterest. That is an easy way to propagate more bridal wreath bushes. Nice that you have them and can enjoy them in your own surroundings. Thanks for your comment. We have the bridal wreath in our yard and I love them. I bury the branches in the ground to start a new bush. Voted up and more. 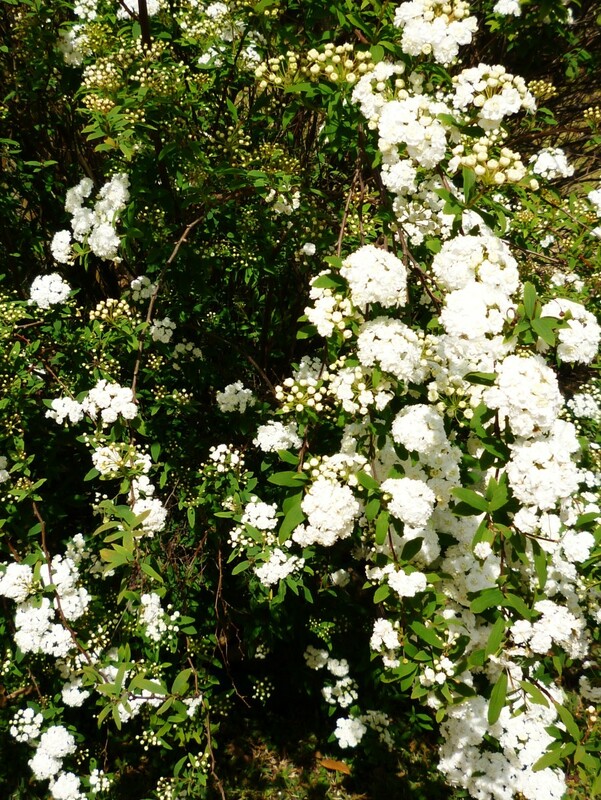 So happy to hear that you enjoyed reading this hub about the Bridal Wreath shrub. Thanks for the 5 stars, votes and the sharing of this with others. Hi, I don't know how I missed this one, I probably didn't have you on my feed some months ago. I loved it. Gave it 5 stars, voted up, and ABI! Also shared all over. Have a good day and keep them coming! I live in an apartment, so if I were to garden it would have to be in containers. I remember my grandmother loved Bridal Wreath and had it in her garden. As a small child I loved the tours of her garden that she always gave us when we visited. Voted up, BAUI, gave you 5 stars, and will share! Thanks for letting me know that you liked this bridal wreath hub by leaving a comment. Much appreciated! Nice to know that there are some plants like the bridal wreath shrubs that deer do not like munching upon that can grace your yard with beauty. Thanks for your comment. I really enjoyed this. Your pictures are beautiful!!! Oh, Peggy - I love a plant that deer hate! We lose so many flowers to deer in the spring and summer months. I'll have to look into a Bridal Wreath Spirea for our front yard! Yes, the cascading growth habit of the bridal wreath shrub is lovely to be sure. Glad that you enjoyed this hub. Thanks for your comment. I love the name of this plant, Peggy. "Bridal Wreath" conjures up such a lovely picture! I like the cascading form of the shrub, too. It's very attractive. Thank you for the useful information. So nice to hear that you enjoyed looking at photos and learning about the bridal wreath (spirea) shrubs. Appreciate your comment. I enjoyed reading your article and viewing your pictures, good hub. I would think that bridal wreath ( spirea ) would suit the plan perfectly. It is pretty hardy! Thanks for reading, commenting and casting votes. Appreciate it! They are so beautiful. That's it, I'm going to have to find some plants/flowers that are hearty and can handle the heat and the rainy season here. Very useful, beautiful, up hub. I have not personally rooted a spirea that way, but why not try? It works for many other plants. Thanks for taking the time to read this hub about the bridal wreath and leaving a comment. Planted one by the woods 3 weeks ago, and it's been blooming ever since. Gorgeous! Before reading your article, I hadn't realized that they are easy to start from cuttings. Will have to give it a try. Can I root new a one like a forsythia by placing a rock on a limb? Pruning spirea or bridal wreath as you say can successfully bring more blossoms. You must have some experience with these flowering plants in your garden landscaping, I am guessing. Thanks for the comment. Happy to hear that you enjoyed this hub about using the Bridal Wreath or Spirea in garden landscaping. It is truly a showstopper when in full bloom. Thanks for the comment. Beautiful. Enjoyed the photos and videos as well as the info. I like Bridal Wreath, it's easy to maintain and their blooms are beautiful. They are a lovely addition to the landscape as long as there is enough space for them to spread and thrive as they do. I can't wait for Spring planting :) Thanks for the excellent information. That it is indeed! When the bridal wreath is in full bloom is is a show stopper! I'm going to check into growing some of those smaller types of spirea and work them into our garden landscaping. The cold temperatures of below freezing for several days running (most unusual) in Houston will be taking its toll on some of my usual plantings. The nurseries probably LOVE this kind of weather! They get to sell more replacement plants. Thanks for your comment. Beautiful and informative. I learned something new today. This one looks like a one of those stunners in the garden that attracts all attention to itself. Enjoyed it!! I agree that the bridal wreath and other types of spirea are great additions to any garden landscaping if one wishes to have flowering plants in the garden that are also hardy and easy care. Glad you liked this hub and thanks for the comment. What a great hub and so beautiful too! Those flowers are simply amazing, what a stunning addition to a garden! Thank you for sharing! 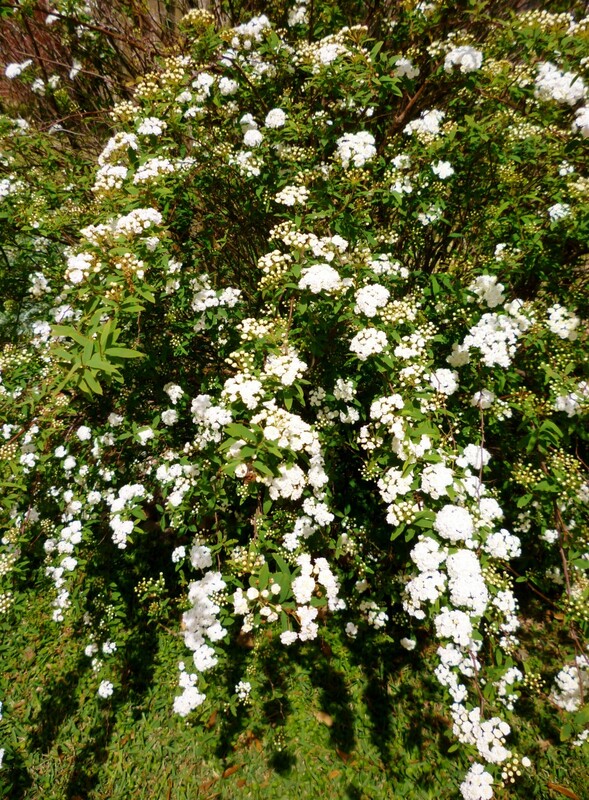 It is a beautiful thing to behold...a bridal wreath or spirea shrub in full blooming glory. Nice that you get to enjoy your neighbor's flowering plants! These are definitely hardy shrubs! Here is to the upcoming Spring and those sparrows who like to call your neighbor's bridal wreath home! I think that by this time of year (Feb. 6) most everyone is eagerly awaiting Spring. Thanks for the comment. Spring is just around the corner...another month or so. Thanks for commenting on this hub about garden landscaping using flowering plants such as the bridal wreath or many other types of spirea. Thanks for your comment. I know...I am jumping the season somewhat by posting this hub about garden landscaping using the bridal wreath or spirea in the wintertime. I had actually taken these pictures last Spring and intended to write about them. Just shows how late I am in posting. Haha! Oh well...it should be an evergreen subject and Spring IS hopefully just around the corner. Thanks for your comment. The beauty of the spirea gives me spring fever. Your hub and videos on garden landscaping with flowering plants using bridal wreath is absolutely gorgeous. Thanks for sharing the helpful tips and the beauty of the spirea. Hi Peggy! I love spirea and it's so nice to see those pictures now in blah winter. That soft wash of white against the dark green foliage is just beautiful. We can dream of warmer days ahead, can't we? Haha! I remember the days of living in Wisconsin in the dead of Winter and ordering Spring bulbs to be delivered at the right time for planting. Thus...this garden landscaping with flowering plants using the bridal wreath or spirea is just for planning purposes at this point. LOL Thanks for the comment. Hi Peggy - Well, this good stuff makes for great reading right now (wishing and longing maybe ??? ) but at 21 degrees outside, I will sit it out for now. Yes covering after a few days gets harder - we will see - sometimes they surprise with their hardiness. This weather is unusual for Houston to say the least. Not many people out and about today since the roads were covered with ice. Our more tropical plants will undoubtedly take a hit with these freezing temperatures. We have a bunch of things covered with old sheets, but that can do only so much to protect them. I guess time will tell how our flowering plants and other plants in our gardens will fare! Happy that I could introduce you to the Bridal Wreath and other spirea flowering plants. They are real beauties and hardy ones at that for garden landscaping. Thanks for the comment. I also learned a few things when doing the research for this garden landscaping hub using the bridal wreath or spirea as flowering plants. Pruning makes sense as most plants at one time or another can use a little shaping. 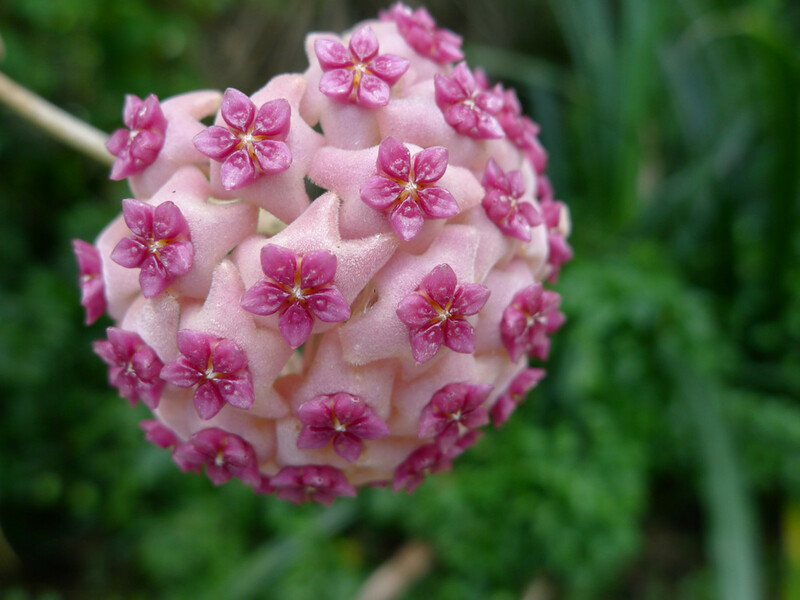 Knowing that some of those smaller spireas will bloom again by having them pruned makes it worth one's while to do so. Thanks for the comment. Glad you enjoyed this hub about the bridal wreath and the other types of spirea. I'll bet that you see some of them in the gardens around where you live. Am I correct? Thanks for your comment. Peggy another great gardening hub! Can you believe 4 days of under 32 F in Houston! Yes these bridal wreath and spirea plants are perfect for those who wish flowering plants in their garden landscaping and don't wish to lose them due to the deer making a feast out of them. The deer will leave these spirea plants alone and move on to other more tasty things. As to our weather... Houston is essentially shut down today. No air service, no metro bus or other transportation. We did not get the predicted snow but we got freezing rain and ice and with the temperatures no one except essential personnel should be out on the highways. LOTS of accidents! Will get above freezing this afternoon for a short time and then refreeze again tonight. We are definitely having the coldest temperatures of the season...not quite record breaking, but almost. I did not know about the Bridal Wreath. What gorgeous pictures. Thanks for the idea and the tips. Yes, gardening is fun. Happy to hear that you enjoyed reading this hub about garden landscaping with flowering plants...specifically the bridal wreath or spirea. It is a beauty when it is in full bloom! Thanks for the comment. Thanks for being the first to comment on this garden landscaping hub about the bridal wreath. 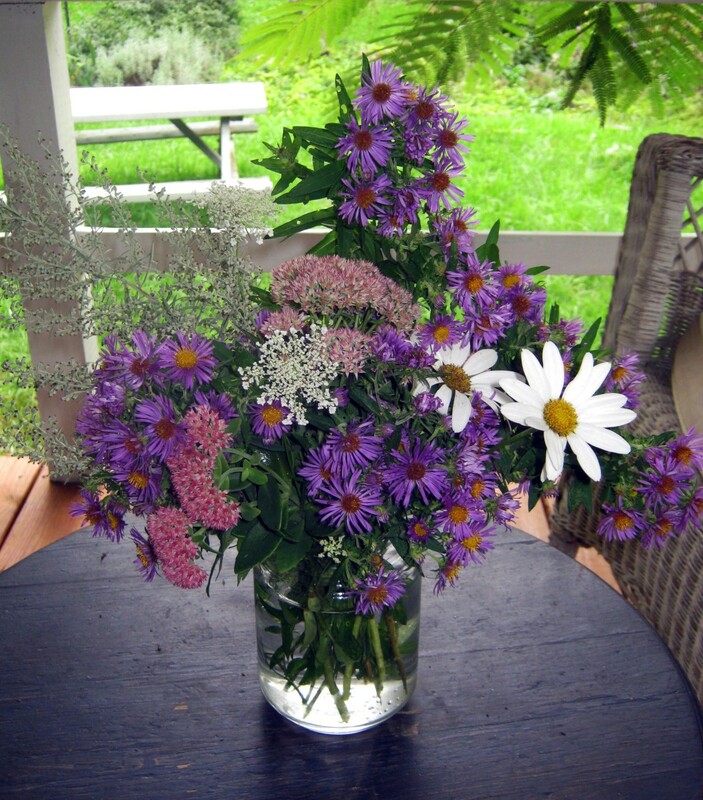 If your mom loves gardening it is very likely that she might already be familiar with the spirea flowering plants. God bless you also! I never knew spirea could be pruned! Thank you for the most interesting hub!! Awesomely beautiful! Great post Peggy. Very informative as always. God bless you Peggy! They do look nice.Our yard is about as full as I want it to be but I'll pass the information on to anyone who wants a deer resistant plant. I hear Texas got some cold weather recently. My wife's aunt told her it is colder there than she has ever seen it. My mom loves gardening and I have to bookmark this hub for her. Thanks for sharing this amazing hub :) God bless..